COMMUNITY SPACES FOR ALL OF LIFE’S SPECIAL EVENTS! 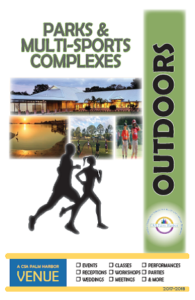 CSA Palm Harbor invites you to plan your next event at one of our outdoor spaces! Company gatherings, friendly sports among friends, family parties or a child’s birthday bash, you’ll find the perfect spot at one of our parks! For more information, click on the brochure or contact a Rental Specialist today by calling 727.771.6000. Parks and fields and generally open to the public during posted hours. However, please note that department-sponsored programs may take precedent and certain facilities may be closed for public use during organized times. Please call us or consult our website for additional information. Want to check field or park status? RAINOUT LINE, CALL 727.228.1633 or CLICK HERE.